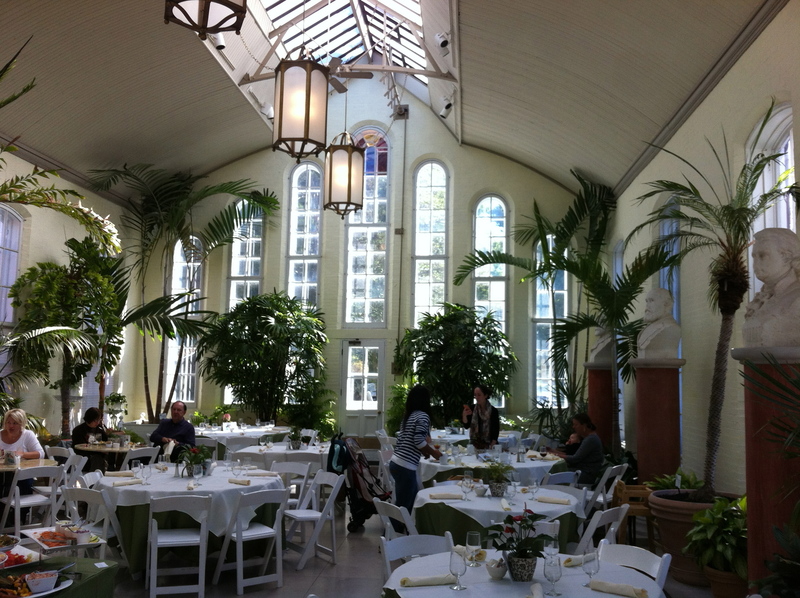 Located in Tower Grove Park’s iconic Palm Piper House, Cafe Madeline is truly a gem. The restaurant is open only on Sundays, year round and features a Sunday brunch buffet. Reservations are required. I went with my friend, Jaime, on a beautiful September day. Although the interior of the restaurant is stunningly beautiful, we sat outside and ordered mimosas because the weather was so nice. 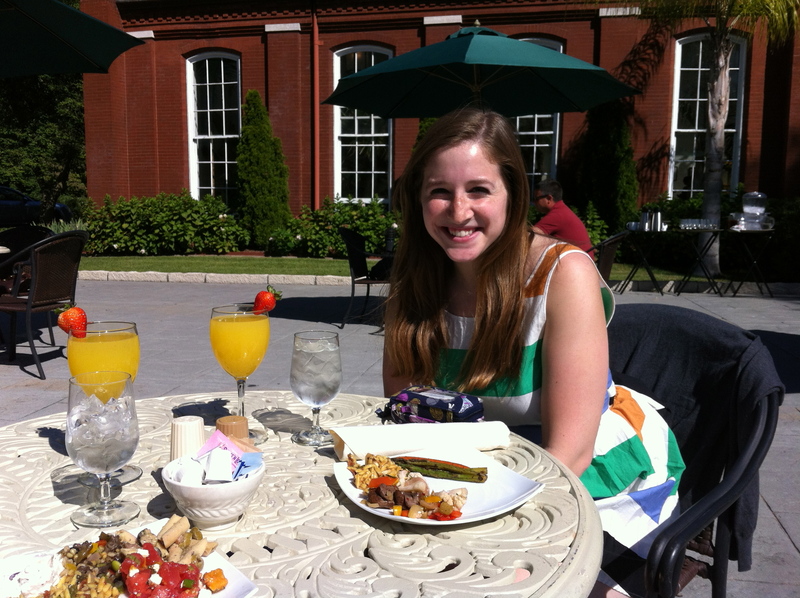 The brunch had salads, more breakfasty items, an omelet bar, and a dessert section. While the food was definitely an A, Cafe Madeline is unique because of its peaceful atmosphere in Tower Grove Park. I would recommend this place in a heartbeat to anyone. Because of its location, lots of locals walk by the restaurant on their morning walks. 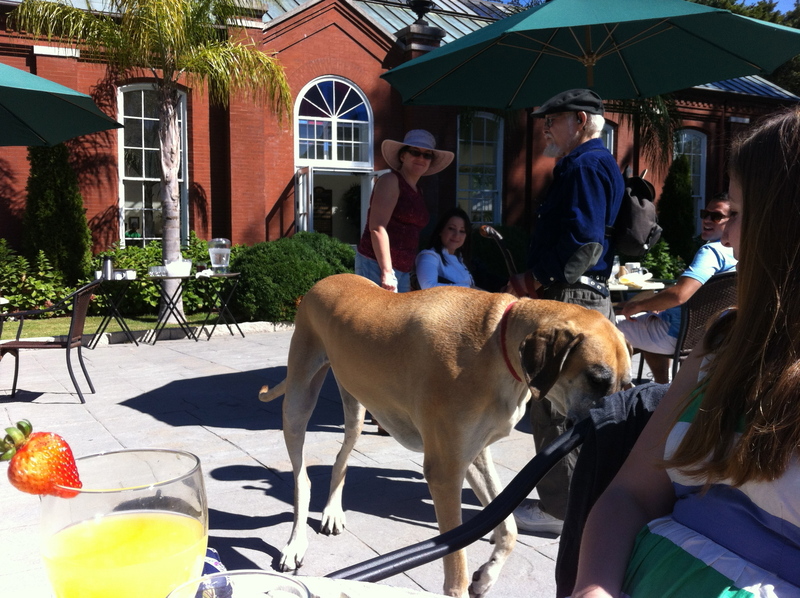 Of note was a little man who had a gigantic great dane that was almost his size. He claimed that the dog might be the tallest on earth.